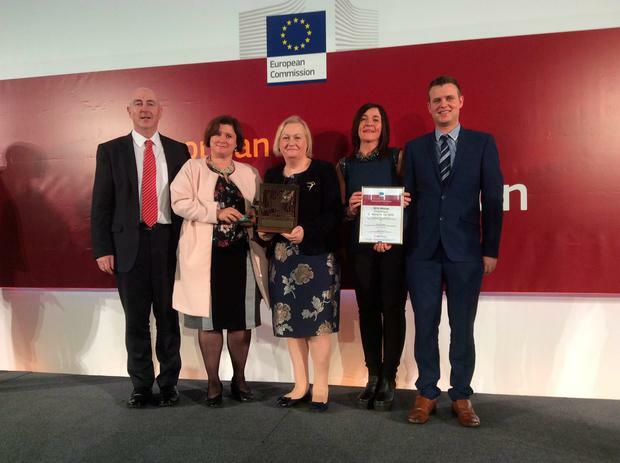 Fitzsimons Consulting has bagged an award at the European Enterprise Promotion Awards in Luxembourg tonight. The 'Going for Growth' initiative, which is headed up by Dublin businesswoman Paula Fitzsimons, is designed to encourage businesswomen and female entrepreneurs and suppport them as they achieve their growth goals. The initiative is currently calling out for women to apply for the programme - so far 400 women have signed up. It involves a mentoring programme matching businesswomen with sucessful business people or lead entrepreneurs who have experience in growing a business. A recent survey of participants showed that the majority of those in the programme increased their turnover in the last year as well as employment levels while other benefits included growth in confidence, ambition and motivation. The Going for Growth initiative is funded by Enterprise Ireland and KPMG. "We want to bring 'going for growth' across Europe," said Fitzsimons. Ms Fitzsimons, the founder of Fitzimons Consulting, which specialises in entrepreneurship and growth, won a similar gong two years ago for the promotion of older entrepreneurs (those over 50). She has been the national coordinator for the Global Entrepreneurship Monitor (GEM) for Ireland since 2000. The results of a recent survey show that women are now being paid salary levels that men were getting back in 2006. The research, from the World Economic Forum, also showed that Ireland has ranked fifth out of 145 countries in terms of closing the gender gap. Nordic countries topped the list - Iceland, Norway, Finland and Sweden, were highest, Britain was 18th, Germany 11th and France was 15th while the US came in at 28th place.